This Italian band born in the late 1995 under the name Maelstrom. Wanting to bring Maelstrom to life, Tiziano asked Gino to work on some material he wrote. 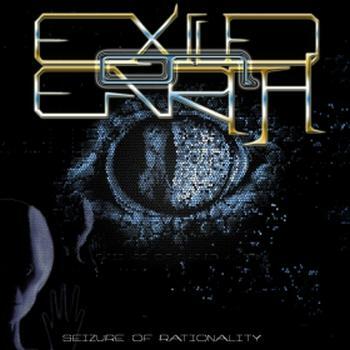 The result is the change of the monicker into Exiled on Earth due to omonimies with other bands, and the song "The illusory ground of betrayal"(2000) . Looking very different from the old material, it represents the missing link,the bridge, between the old and new songs. Since then, and during all the year, many unsaccessful auditions took place to find the right guitarist and the best drummer. Althought they had many line-up changes they still playing on. 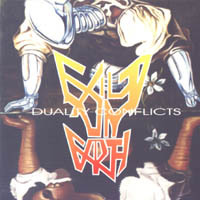 Piero arioni was called for the recordings of Duality Conflicts promo cd in the September of 2001. The songs also in this case, have a large spectrum of influences, more technically played and arranged, this represented their growing desire to explore new heavy horizons focusing on songwriting than mere appearance and changing their work on the lyrics in a more deep search in the human mind and soul matter. Their main influences are : Watchtower, Atheist, Cynic, Death, Metallica(first 4 albums), Control Denied, Irons, Judas Priest, Megadeth , Annihilator, all the Metal Classics, Jazz, Fusion.